This little shopping obsession started when I was testing the Matte Balms out of curiosity whilst waiting for a train. I didn’t really plan to buy one, I’m on a “do I NEEED it” hype at the moment, but I did not expect to find a colour I really really really liked (and needed). It had been a long day, I thought I’d treat myself so I put the tester down, reached for the new one and …. sods law, they had NONE! Coming so close to the purchase before being turned away is possibly the worst thing EVER (after war, famine, domestic violence etc obvs) but four trips to the four Boots near me later and I’m now smiling like the cat who’s got the cream. What is all this fuss about? 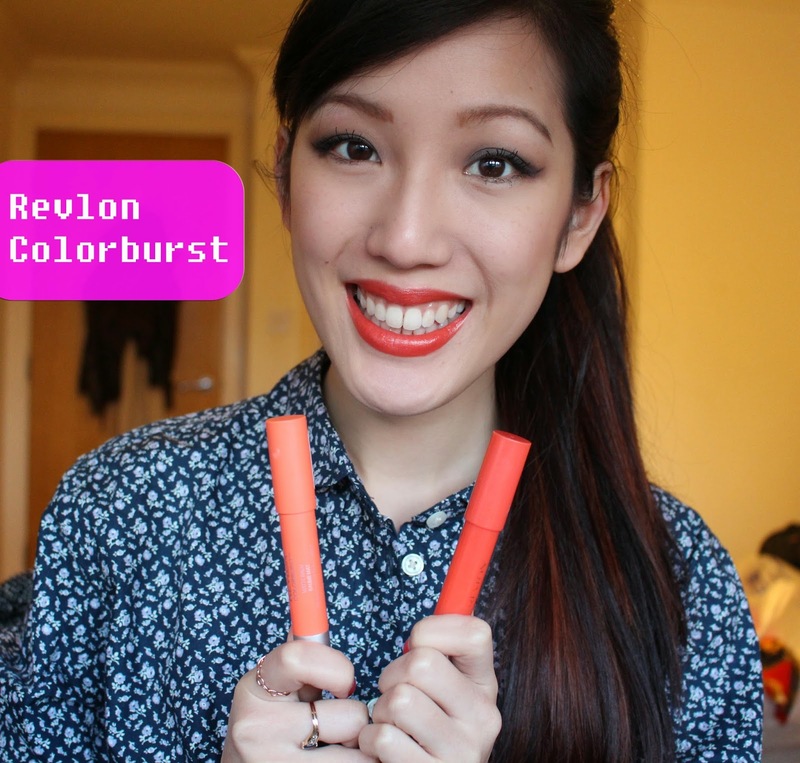 Only the new Revlon Colorburst Matte Balm in Mischievous…. in short, it’s a velvety-matte finish version of the Clinique Chubby Stick. Let’s take a look shall we? A sister to the original Revlon Lip Balm Stain, the new Revlon Colorburst Matte Balms contain the same moisturising shea butter, mango butter and coconut butter ingredients but instead, the finish is velvety matte. I was a big fan of the Revlon Lip Balm Stain – it colours and covers with a lovely creamy smooth feel – you can see my review of the Lip Balm Stain in Lovesick here. 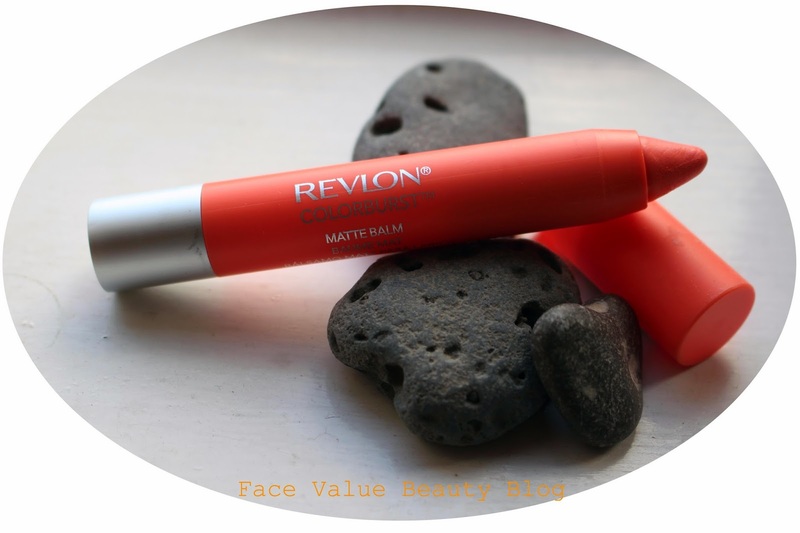 How did the Revlon Matte Balm compare? Here’s me wearing the new Revlon Matte Balm. I love the finish and feel, it’s lovely and soft – very silky on the lips. And I absolutely adore this colour! I’ve matched it with bold, defined lashes (courtesy of Benefit’s They’re Real – review coming soon! ), oversize liquid eyeliner flicks and a dash of my new Lancome in Love blush. A lovely, elegant daytime look, non? Ladylike and pretty – perfect for sunday lunch. I’m now going to compare it to the Revlon Just Bitten Lip Balm Stain so you can see the difference! This is me wearing 2 coats of the Revlon Lip Balm Stain – the balm stain is a lot glossier and a lot creamier. It feels more moisturising (in part because it’s not a matte finish) and it’s much easier to wear. I’ve teamed this with a stronger look on the eye using the Maybelline Colour Tattoo Eye Cream in Permanent Taupe all over the lid. For more details, you can see my original Revlon Lip Balm Stain review here. Although not as easy to wear – the Matte Balm feels a lot lighter on the lips, you can almost forget you’re wearing it! However, IMPORTANT NOTE COMING UP, your lips need to be scrubbed to perfection because the matte finish will highlight (and cling) to any dry bits! BOO!! Face Value Tip: I’ve been scrubbing my crispy lips with a sugar scrub from Lush and a little bit of warm water.. Which did I like the best? 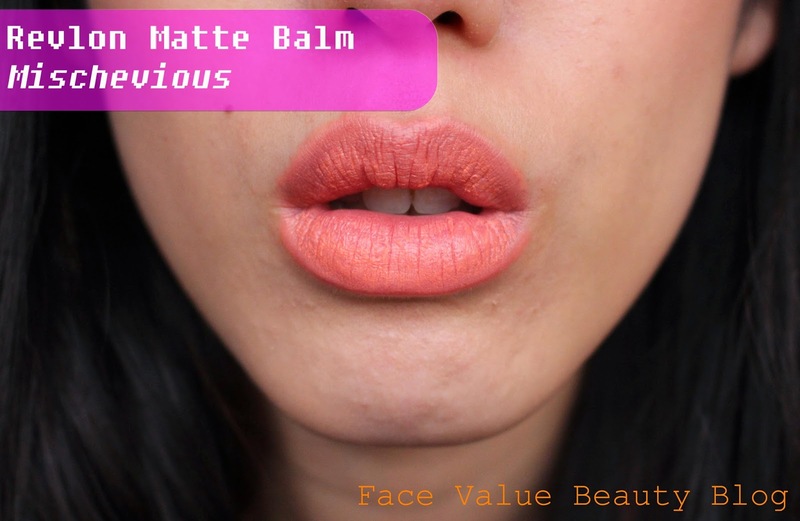 Although I prefer the colour of the Matte Balm, it’s just way way too high maintenance! I can’t wear it unless I’ve fully prepped my lips but the Lip Balm Stain can just be slung on at anytime. 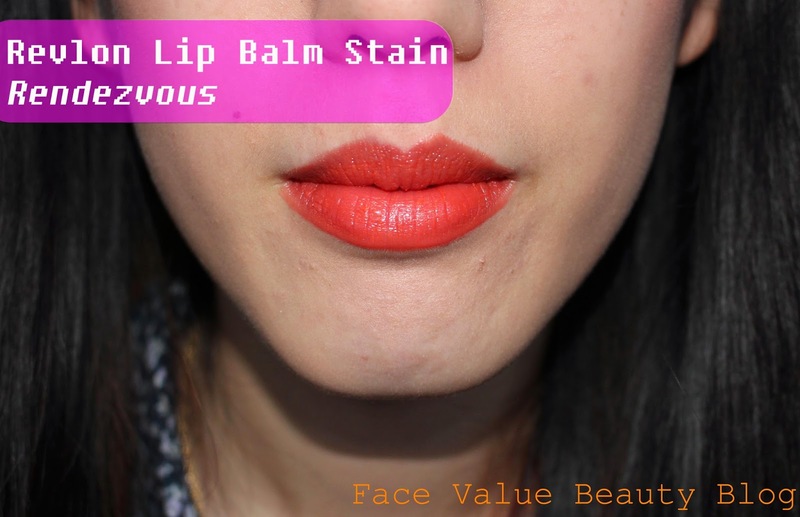 The Lip Balm Stain feels more moisturising as it has a creamier consistency. I also like that it stains the lips for a while, so some colour remains even when the shine has gone. But you know me – I think you can never have enough lip crayons – I recommend BOTH. What’s the furthest you’ve ever gone to buy a product you wanted?! Which do you prefer, Matte Balm or Lip Balm Stain?